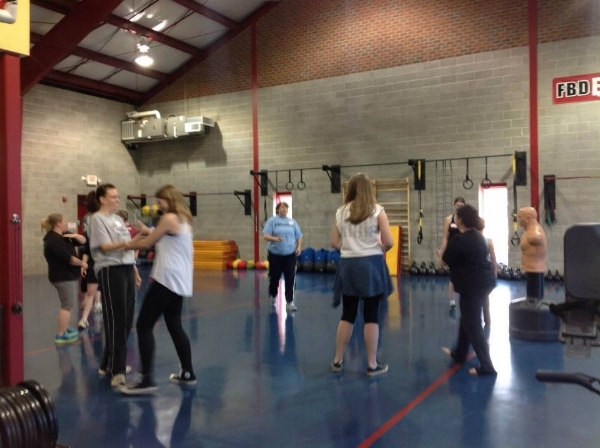 Self Defense Class....MONDAY, AUGUST 6th.....7 - 8:30pm. The instructor is Teddie Linder with Tiger Lily Eastern Arts. The focus of the class is Strategies and Boundaries. We will learn about our own boundaries, how to teach other people to respect them and key skills for safety on campus and social situations. This class is appropriate for women and men 13 and up. Participants should wear comfortable clothing (workout clothes), and please do not wear jewelry on the wrists or neck. Teddie will also present products for sale from Damsel In Defense, in the last 15 minutes of the program. Newer PostI like to kick, stretch, and kick!